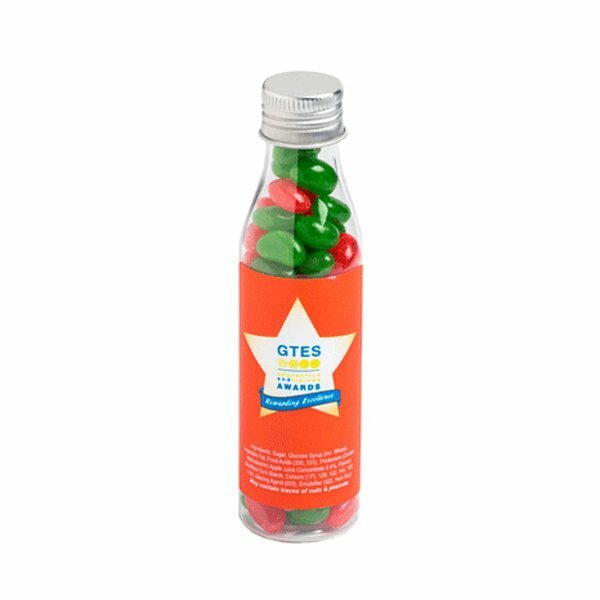 The custom Christmas Jelly Beans Soda Bottle is a cute, little promotional product that is perfect for parties. Low prices so give these a closer look. Get your favourite jelly beans in holiday colours of red and green in a soda bottle! Our branded Christmas Jelly Beans Soda Bottle will be perfect for party and corporate giveaways that your clients will be delighted to receive. The bright coloured and yummy tasting jelly beans are simply adorable and irresistible and are eager to pop out from the soda bottle for your delight. Our customised Christmas Jelly Beans Soda Bottle comes in a 100g 37mm(w) x 140mm(h) easy grip soda bottle with full colour sticker for print size of 75mm(w) x 51mm(h) for your personalized corporate colours and branding. Manufactured as a high quality promotional product and packed for light and smooth handling, the printed Christmas Jelly Beans Soda Bottle will definitely perk up any party or corporate event. 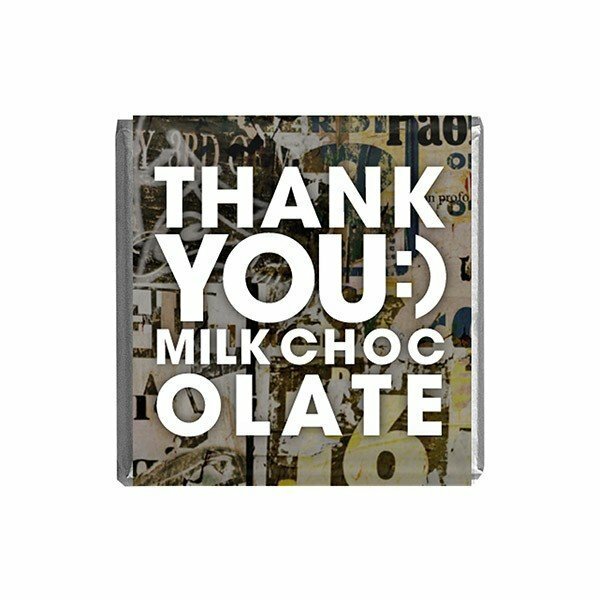 Its charming and cheerful presentation will also easily make it a standout in any trade exhibit. You will simply feel good choosing this product to promote your corporate colours and branding just as your clients will feel good having them. 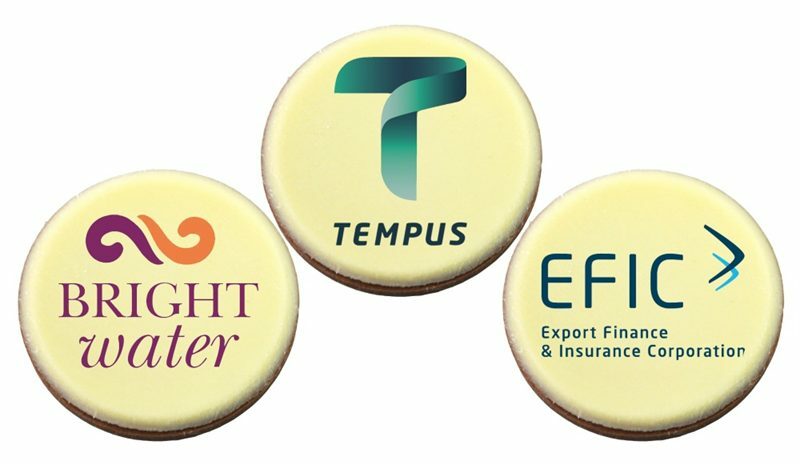 You may wish to consider other equally great options from our list of quality edible promotional confectionery for your party and corporate giveaways. All are also sure eye catchers for trade shows. One of our big time favourites is our promotional jelly beans or our personalised Christmas Chewy Fruits Big Bucket. They’re 875g of chewy fruits in bright holiday colours of red and green and come in a 110mm(w) x 25mm(h) PVC bucket. Both are with full colour stickers for your personalized corporate branding. A complimentary product that you may need for Christmas are promotional printed balloons. Once you’ve finished shopping here, hop across to our balloons website at Fast Balloons. Be great to see you over there as well. Perhaps start by having a look at our custom cerise pink balloons. Got questions? Do contact us at our hotline number, 1300 008 300. Or chat with us via our website’s live chat feature for further inquiries. We’re ready to talk promotional Jelly Beans right about now.